Our contractors have helped countless Virginia residents with insulation repairs and improvements. 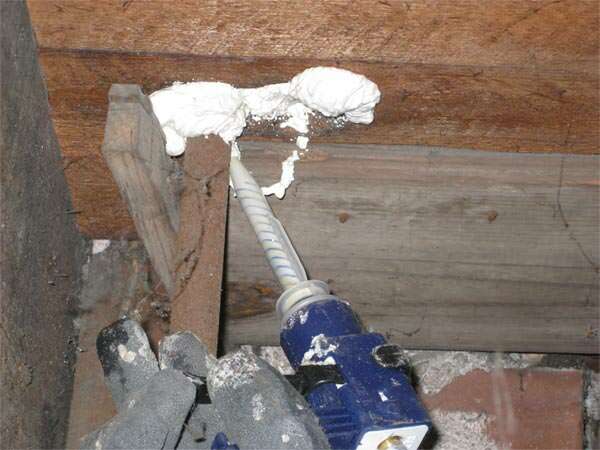 Our team can install any of your home insulation needs from rigid foam boards to spray foam. Dr. Energy Saver is your professional insulation company offering Virginia homeowners insulation upgrades to make home energy systems more efficient. Improving your home's insulation will have a positive ripple effect on your home's energy efficiency, as long as the insulation is properly installed and right for the job. Contact our company today to have a free home insulation estimate. One of our energy specialists will visit your home and thoroughly inspect your insulation and provide the necessary solution to improve your home comfort. We have the solution for you - All homes are different, so we've adjusted our insulation solutions to help any home we work in. Our company proudly serves homeowners throughout the Virginia area, offering our solutions to: Norfolk, Virginia Beach, Newport News, Chesapeake, Hampton, Williamsburg, Portsmouth, Suffolk, Gloucester, Yorktown, Seaford, Smithfield, Poquoson, Carrollton, Toano, Lanexa, Hayes, Gloucester Point, Barhamsville, Fort Eustis, Surry, Fort Monroe. What is R-Value? During production, insulation materials are tested to determine how well each material resists heat transfer. That's what the "R" in R-value stands for in insulation materials - resistance to heat. In theory, the higher the R-value on an insulation material the better the resistance and insulating value the material has to offer. All types of insulation materials are measured according to their resistance of heat flow. Therefore, it's highly recommended to look for insulating materials that have higher R-values when choosing insulation. Closed-cell polyurethane spray foam, for example, has an R-value of about R-6.2 per inch or higher, while poured concrete has a dramatically low value of R-0.08 per inch. Proper installations required. Any insulation material that is wet, moist, compressed, installed with gaps or holes significantly reduces the performance of the insulation's R-value. 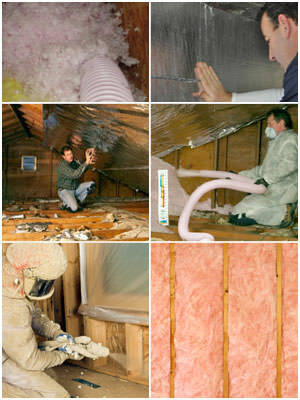 Our company is Virginia's trusted home insulation company. Our contractor's are experienced insulation professionals; offering the proper methods for installation and the correct insulation selection for improved home living. Our insulation services are offered to Norfolk, Virginia Beach, Newport News, Chesapeake, Hampton, Williamsburg, Portsmouth, Suffolk, Gloucester, Yorktown and throughout the Hampton Roads. Air sealing and insulation go together. Our team of insulation contractors will seal those hard-to-find air leaks that allow your conditioned air to escape out of your house. Air sealing leaks make your conditioned rooms much more comfortable and reduce your heating and cooling dependency. Why is air-sealing so important? If your home has air leaks throughout it's structure you are basically paying your utility company every month to heat and cool rooms you don't even use. Air sealing leaks should be conducted in every home before any new insulation is installed. Contact Dr. Energy Saver for a whole house energy audit, our specialists can perform a blower door test in your home to measure the air-tightness of your energy system. Our blower door test helps physically locate air leakage throughout the home. What is the "best" insulation? Unfortunately, if you were wondering what the best insulation is, you may be disappointed to find out that there is no "best" insulation. Certain insulation materials work better than others in different parts of your home; based on what needs to be installed and where. That's one of the ways our company stands out from the rest, our expert contractors know exactly what kind of insulation to install, how much to use and where it needs to go. Our service area is throughout the Hampton Roads area including: Newport News, Norfolk, Virginia Beach, Portsmouth, Chesapeake, Hampton, Yorktown, Suffolk, Gloucester, Williamsburg, Smithfield, Poquoson, Hayes, Gloucester Point, Barhamsville, Fort Eustis, Surry, Fort Monroe, Seaford, Toano, Lanexa, Carrollton. Stop wasting your money and energy on failing insulation materials. Call us by phone, 1-757-969-6004 or visit us online to schedule a free home inspection and home insulation estimate in Virginia.